The Dino Pet is a unique interactive “pet” that allows you to hold one of nature’s most magical occurrences in your hands. 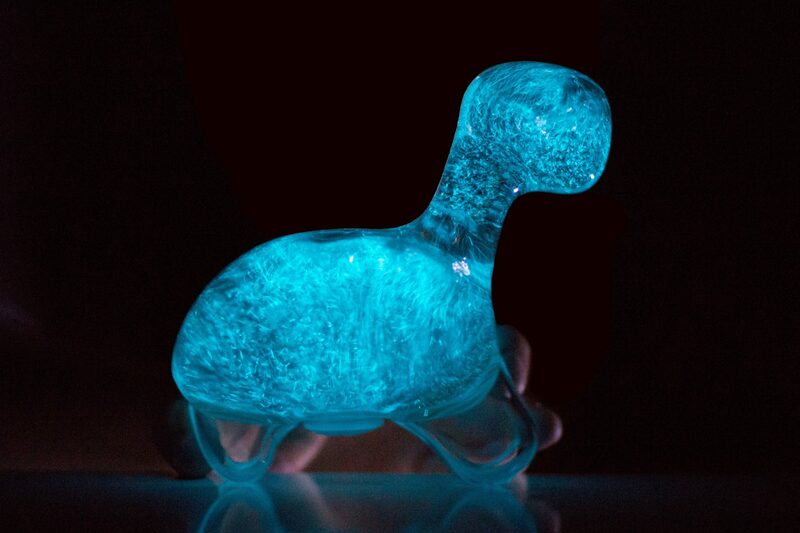 It uses bioluminescence to glow brilliantly when you play with it in the dark. The glow is coming from microscopic sea life called Dinoflagellates and is powered by sunlight, water, and simple nutrients.